This week: new books from Lee Child, Brandon Sanderson, and more. Beard’s stunning memoir tells the tragic story of his family’s 1978 vacation and the subsequent 40 years he spent forgetting it. His memory from the day is fuzzy: he was 11 and his little brother, Nicky, was nine when they decided to play in the waves one last time before heading back to the cottage their family was renting in Cornwall, England. Nicholas drowned, and the rest is blank. His family never spoke about what happened—which he calls “an epic level of denial.” Now a novelist with kids of his own, Beard (Lazarus Is Dead) attempts to piece together what happened that day and hunt down all the artifacts left of his younger brother’s short life. 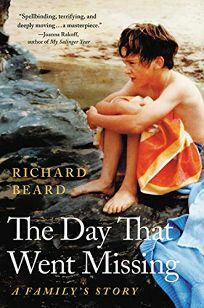 Beard travels across England, visiting the important places from Nicky’s life and interviewing everyone who knew him—family members, school officials, the man who pulled him out of the water that terrible day. But the memories are fuzzy and, after years of silence, some have vanished entirely. By collecting all of Nicky’s school records, photographs, clothing, and stories, Beard reimagines the brother he lost. His beautifully written story is heartbreaking and unforgettable as he struggles with the grief he chose to forget and, now, attempts to remember again. This wonderful posthumous collection from Berlin (A Manual for Cleaning Women) ranges from short, one-page stories about the poor and working class to longer romantic tales about the disaffected daughters of aristocrats in South America. The collection is significant partly because it reveals the centrality of homesickness and geography to Berlin’s work. The elegant title story is set in a hotel in Mexico where the cast and crew of The Night of the Iguana are staying. The American movie stars living in “paradise” at the resort are worn out and distracted compared to the vibrant Mexicans who run the hotel. “Lead Street, Albuquerque” follows two young couples whose lives are interrupted when a friend moves into their building and marries a 17-year-old girl. The friend, who becomes a wildly successful artist, leaves his young wife in the care of the other women, who help her care for her baby. One of the longest stories in the collection is “Andado: A Gothic Romance,” which follows Laura, a 14-year-old schoolgirl in Chile, as she visits the estate of wealthy widower Don Andres. The sexual tension between the older man and the younger girl escalates and eventually confuses the girl’s innocent notions of romance. Berlin’s writing achieves a dreamy, delightful effect as it provides a look back through time. 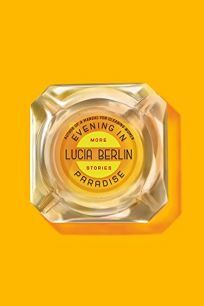 This collection should further bolster Berlin’s reputation as one of the strongest short story writers of the 20th century. The 2006 death of handsome newlywed Rey O. Rivera serves as the focal point of this mesmerizing true crime account. 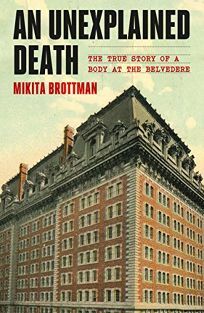 Brottman (The Great Grisby) never met Rivera, but she lives in the Belvedere, an apartment complex in Baltimore where his body was found, and her morbid curiosity results in a decade-long obsessive, informal investigation of his death. Rivera was missing for over a week before his body was discovered in a locked office, having fallen through a hole in the roof of the building’s extension. According to the autopsy report, which ruled the death a suicide, Rivera had jumped off the roof of the main building, creating the hole on impact. As Brottman looks into the case, she learns that the people in Rivera’s life don’t believe he killed himself—he was about to start a family with his wife, made plans for the weekend just before disappearing, and showed no indication of depression. Her suspicions deepen when she learns the police report of his death has gone missing, as has the building’s surveillance footage from the night of Rivera’s death. In the end, Brottman hires a private investigator to aid in her quest for answers, and his conclusions end up being rather anticlimactic compared to the suspense of the author’s investigation. 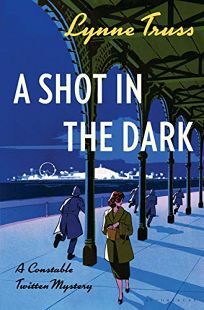 In addition to the crime element, Brottman adds an alluring layer to the narrative by interrogating her own preoccupation with death and suicide. The result is a page-turning look at the darker impulses of the human psyche. Early in bestseller Child’s superb 23rd Jack Reacher novel (after 2017’s The Midnight Line), the peripatetic Reacher reaches a fork in a road in rural New Hampshire; he chooses the path heading to Laconia, “his late father’s place of birth.” At the same time, just 30 miles away, a young Canadian couple on their way south have car trouble and stop at a small motel, finding they’re apparently its only guests. Reacher uncovers few traces of his father’s existence, other than a 75-year-old assault case in which Stan Reacher is named. But he does stir up a world of trouble when he steps in to help a woman under attack and gives her assailant—the son of a well-connected underworld figure—a humiliating beating. 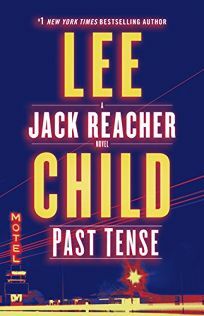 While Reacher is dealing with a revenge posse, the Canadian couple discover just how strange their motel is. Child neatly interweaves multiple narratives, ratchets up the suspense (the reveal of the motel plot is delicious), and delivers a powerful, satisfying denouement. Fans will enjoy learning more of this enduring character’s roots, and Child’s spare prose continues to set a very high bar. 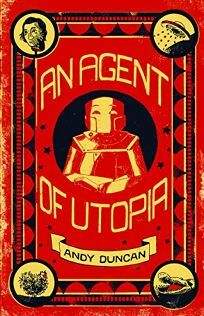 Zany and kaleidoscopic, the 12 stories in Duncan’s third collection draw on Southern traditions of tall tales and span time periods, continents, and the realm of human imagination to create an intricate new mythology of figures from history, literature, and American folklore. The title story is told in ornate, antiquated language from the perspective of an operative from Utopia who retrieves the decapitated head of Sir Thomas More and winds up haunted by his thoughts. Young Flannery O’Connor finds Jesus Christ in her chicken coop and trains him to walk backwards in “Unique Chicken Goes in Reverse.” Heavyweight boxing champion Jess Willard travels through time to the night he met Harry Houdini in “The Pottawatomie Giant.” In “Senator Bilbo,” Tolkien’s hobbit is cast as a racist, reactionary politician. Zora Neale Hurston, the folkloric figures Daddy Mention and Uncle Monday, the Devil himself, and all the inhabitants of the Big Rock Candy Mountain also make appearances. Duncan aficionados may be a touch disappointed that there are several stories in common with his 2012 U.K.-published The Pottawatomie Giant and Other Stories, but anyone who lost track of Duncan in the 18 years since his last U.S. collection will be thrilled to rediscover him here. This is a raucous, fantastical treat. Architecture critic Lamster (Master of Shadows: The Secret Diplomatic Career of Painter Peter Paul Rubens) outlines the complicated and contradictory life of architect Philip Johnson in this engrossing, exhaustively researched account of a brilliant opportunist who introduced modernism to America. Johnson (1906–2005) came from a well-to-do Cleveland family and graduated from Harvard Graduate School of Design, traveled to Germany in the 1930s (where he was in awe of Adolf Hitler and developed “a continued fascination with the dictator’s Nazi party”), and founded MOMA’s architectural department before becoming one of the architectural world’s most skilled and controversial members. 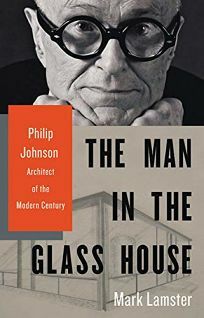 A theoretician as much as practitioner, Johnson continuously pushed boundaries, designing the Glass House in Connecticut in 1949, New York City’s Seagram Building in 1958, and the Johnson Building at Boston Public Library in 1972. Lamster employs thoughtful analysis (“Because he was restless and his mind was nimble, he could not resist the narcotic draw of the new, and the opportunities for self-aggrandizement the new presented”) to demonstrate Johnson’s desire to make his mark. This is an entertaining and in-depth look at one of architecture’s most complex and influential characters. 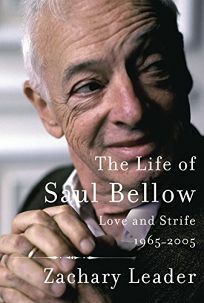 This masterful account of the second half of Bellow’s life from Leader (The Life of Saul Bellow: To Fame and Fortune 1915–1964) is impressive in both content and accessibility. The biography opens at an exciting point: Bellow, with the publication of the bestselling and critically acclaimed Herzog, catapults to the highest echelons of literary success. Leader combines Bellow’s life story with close readings of his major (and sometimes minor) texts, highlighting the autobiographical content of Bellow’s fiction. Although generous to Bellow, Leader shows the highly flawed person existing alongside the great writer. The book depicts a man caught up in mid-century notions of masculinity, displaying a volatile temper, expecting women to wait on him, and flaunting his dominance. While garnering an array of literary honors—National Book Awards, the Pulitzer Prize, and the Nobel—Bellow continually disappoints his children and friends, and careens from affair to affair and marriage to marriage. Yet Leader has a talent for finding the redeeming details that humanize Bellow—consideration to his assistant Mrs. Corbin; affection toward his only daughter, Naomi Rose, born when he was 84, five years before he died. Leader succeeds because his book never bogs down: despite its almost 800 pages, Leader knows when to move on, producing a compulsively readable biography. Send a motley crew of hurting but comfortably heeled Aussies to a secluded resort for a pricey 10-day “Mind and Body Total Transformation Retreat” and what happens? 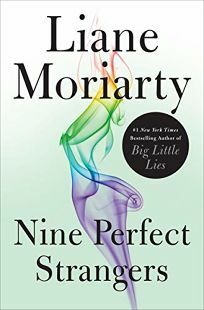 In this cannily plotted, continually surprising, and frequently funny page-turner from bestseller Moriarty (Big Little Lies), nothing like the restorative reset they’re anticipating. The nine guests at Tranquillum House include middle-aged romance writer Frances Welty, her normal spunkiness shaken by recent personal and professional setbacks, and 20-year-old Zoe Marconi, there with her parents on the anniversary of the family tragedy that shattered their lives. What they haven’t reckoned on is Tanquillum House’s messianic but precariously stable director, whose secret agenda could be dangerous to their health. It would be unsporting to disclose more about Moriarty’s largely endearing cast, since her progressive revelations about them contribute so much toward making this such a deeply satisfying thriller. Moriarty delivers yet another surefire winner. 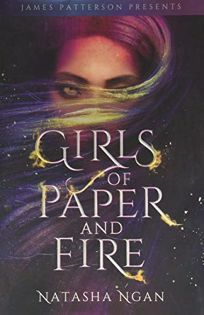 In this rich fantasy from Ngan (The Memory Keepers), the citizens of Ikhara comprise three castes: the oppressed, fully human “Paper” class; “Steel,” a human-animal mash-up; and the reigning “Moon” caste, made up of anthropomorphic animals called demons. Every year, the Moon caste’s king claims eight “Paper Girls” as concubines. It’s an alleged honor, but when the military collects golden-eyed, 17-year-old Lei from her family’s herbal medicine shop, she’s devastated. Her father will suffer if she resists, however, and she wonders about finding her mother, also taken, so Lei relocates to the ruler’s Hidden Palace. Although she dreads being summoned to the brutal king’s bedroom, Lei finds comfort in the friendship of her fellow courtesans—particularly the secretive Wren, with whom she falls in love. Ngan’s plot is tense and tight, her action sequences are elegant and adrenaline-soaked, and her story’s stakes increase exponentially through the pulse-pounding conclusion. She champions self-empowerment while condemning classism, homophobia, and the commod­i­fication of women. What most distinguishes this book, though, is how incisively and intoxicatingly Ngan writes about love. Ages 15–up. Roberts (Napoleon: A Life) serves up an extraordinary biography of Winston Churchill. A resolutely pro-British empire “child of the Victorian era” who was emotionally neglected by his aristocratic father and frivolous American-raised mother, Churchill by his 20s had already reported from, fought in, and sometimes written books about imperial struggles in such places as Cuba, Sudan, India, and South Africa. He leveraged fame due to an escape from Boer captivity to win an election to British parliament in 1900 at age 25. As first lord of the admiralty during WWI, he was scapegoated for the military fiasco of Gallipoli in 1915 and cast into the political wilderness, which strengthened his nonconformist, independent nature, Roberts writes, helping him when he became prime minister in 1940. Roberts captures Churchill’s close working relationship with FDR (“the greatest American friend we have ever known”), his distrust of his chiefs of staff, and his excessive faith in Stalin’s promises in 1945. 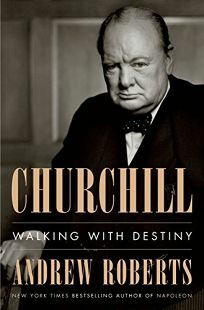 He also captures the man, dispelling the myth that Churchill was prone to depression and revealing his deep love for his wife, Clementine; his egotism, his wit, his loyalty to friends, his penchant sometimes for “selfishness, insensitivity, and ruthlessness”; and his “sybaritic” love of good drink and cigars. This biography is exhaustively researched, beautifully written and paced, deeply admiring but not hagiographic, and empathic and balanced in its judgments—a magnificent achievement. In a mysterious world called Detritus where humans live below the surface, 16-year-old Spensa must overcome her deceased starfighter pilot father’s reputation as a coward following his alleged desertion. She has always hoped to follow in his footsteps and defend her home from the increasingly devastating attacks of the alien Krell. After earning a cadet spot in the Defiant Defense Force, Spensa pushes to prove herself amid relentless, unforgiving, possibly fatal training. Worse, there are those determined to keep Spensa from becoming a pilot at all, for fear that she’ll turn out like her father. But Spensa has a surprise of her own: she’s discovered a long-abandoned starfighter of unknown origin that could change her luck, and the war, once and for all. 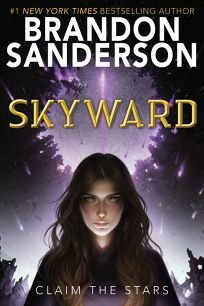 With this action-packed trilogy opener, Sanderson (Steelheart) offers up a resourceful, fearless heroine and a memorable cast—including a strangely humorous, mushroom-obsessed robot—set against the backdrop of a desperate conflict. As the pulse-pounding story intensifies and reveals its secrets, a cliffhanger ending sets things up for the next installment. Ages 12–up. Poet Teicher (The Trembling Answers), PW’s director of special editorial projects, analyzes poetic development in its many varied contours, examining the work of several exceptionally talented poets to arrive at some larger truths about the medium itself. 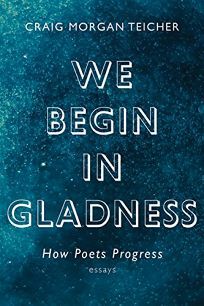 He begins by establishing an elegant definition of poetry as “something that can’t otherwise be said addressed to someone who can’t otherwise hear it,” and goes on to trace the trajectories of several poets’ voices and themes, from the “rapid, surging development” of Sylvia Plath to John Berryman’s decades of dogged plodding before the completion of The Dream Songs. He further explores how poets work in conversation with one another, via close readings of several poems including John Ashbery’s “Self-Portrait in a Convex Mirror” and Susan Wheeler’s homage/companion piece, “The Debtor in a Convex Mirror.” In doing so, Teicher establishes a broader picture of how contemporary American poetry has evolved. Each practitioner incorporates “a matrix of experiences of other poetry absorbed, adapted, smeared, blended, spat out” to build and elaborate on traditions, allowing the form itself to reach new heights. Teicher’s reasoning is sound, articulate, and accessible to readers of all poetic fluency levels, but also so original that even experts will find new ways of thinking about old favorites. 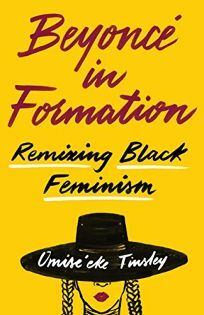 Tinsley (Ezili’s Mirrors), an African studies professor at the University of Texas at Austin, brings tremendous gusto to her critique of Beyoncé’s 2016 album Lemonade. As “the most widely distributed black feminist [work] of the current moment,” Tinsley argues, Lemonade “offers a spectacular entry point into black feminist conversations.” The album and its accompanying music videos lead to discussions of marriage, motherhood, reproductive justice, and queer and trans politics. In a chapter titled “Queen Bee Blues,” Tinsley connects the song “Don’t Hurt Yourself” with its sampling of Led Zeppelin’s “When the Levee Breaks” and depictions of “self-loving fierceness” to the careers of blues vocalists Memphis Minnie and Bessie Smith, who “also sang about [marital] betrayal decked in furs, feathers, and pearls,” and the long tradition of Southern black women’s blues. Later she explicates the song “Sorry” and its “boy bye” chant, revealing an ode to “black femmes.” The book’s final chapter focuses on how New Orleans bounce artist Big Freedia’s role in “Formation” marked a turning point that allowed “trans* sisters to publicize their brilliant choreographies of gender and survival.” Not solely a love letter to Beyoncé or a defense of her feminism, this is an incisive, spiraling celebration of Southern black women. Two-term U.S. 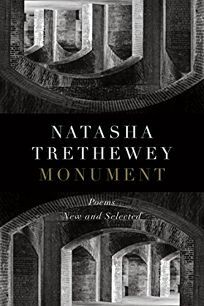 Poet Laureate Trethewey (Thrall) culls some of the finest work from her illustrious two-decade career and presents formally diverse new poems exploring her customary themes. She dredges family history both dark and luminous, reliving the trauma of her mother’s murder by her stepfather, reiterating the details as if the outcome might be different. The brilliant, evocative “Genus Narcissus” turns sinister as the poet recalls giving her mother daffodils as a child only to watch them wither and die on the windowsill: “Be taken with yourself,/ they said to me; Die early, to my mother.” Trethewey also evocatively imagines her grandmother in 1940s Mississippi, writing “She can fill a room// with a loud clear alto, broom-dance/ right out the back door, her heavy footsteps// a parade beneath the stars.” The ekphrastic series “Bellocq’s Ophelia” voices a mixed-race prostitute from a famous 1912 photograph by E.J Bellocq as she sits for her portrait: “I try to recall what I was thinking—/ how not to be exposed, though naked, how/ to wear skin like a garment, seamless.” Trethewey’s arresting images, urgent tone, and surgically precise language meld with exacting use of rhyme and anaphora create an intensity that propels the poems forward. This collection is ideal for new readers seeking a representative sample of Trethewey’s best work. British author Truss (Eats, Shoots and Leaves) makes her crime fiction debut with this hilarious series launch. One morning in 1957, London theater critic A.S. Crystal takes the train to Brighton, where he’s to attend the try-out of a new play, A Shilling in the Meter, at the Theater Royal. That same morning, Constable Peregrine Twitten, an eager beaver who won a prize “for forensic observation,” reports for duty to Det. Insp. Geoffrey Steine, the less than clever head of the Brighton Constabulary, who in 1945 failed to break the Aldersgate stickup case, to which Crystal, then an assistant bank manager, was a witness. That evening at the Theater Royal, something in the play prompts Crystal to remember a piece of crucial information about the Aldersgate robbery, but he’s shot dead before he can share it with the police. Twitten sets out to investigate Crystal’s murder and his link to the unsolved case, aided by competent Sgt. James Brunswick and despite lack of support from the feckless Steine. Truss successfully combines wry humor with a fair-play mystery.